No one thinks happy thoughts when they hear the term ” root canal ,” but painful root canals can be the exception rather than the rule. Contrary to common belief, a root canal is the preferred method of treatment when compared with tooth extraction. Nothing can completely replace a natural tooth, according to the American Association of Endodontists, a trade group for dentists who specialize in root canal therapy. In addition, the association notes, many teeth with root canal treatments can last a lifetime. One key to avoiding severe pain related to a root canal is to address the issue early on, as opposed to waiting to seek treatment until tooth pain is unbearable, said Dr. Charles Nottingham, a cosmetic dentist who is the senior partner of South Florida Cosmetic Dentistry. “The fear of pain during dental procedures is probably the most common reason why people let toothaches go so long before seeking treatment,” Nottingham said. Part of this anxiety may be due to public perception that a root canal is surgery upon a tooth’s nerve. Not so. A root canal addresses the “pulp tissue” portion of the tooth. A root canal is necessary when the pulp is diseased or injured and is unable to repair itself. Cracked teeth or deep cavities are the primary cause of pulp death, as they allow bacteria to enter the pulp. These germs usually cause infection inside the tooth, causing pus to build up at the root tip. This pus-pocket is called an abscess, which can cause damage to the surrounding bone. Swelling occurs if the infected pulp isn’t removed. Other aspects of the infection also can cause injury to the jaw bone. If left untreated, the entire tooth may need to be removed. That is why early detection and treatment is preferred, Nottingham said. 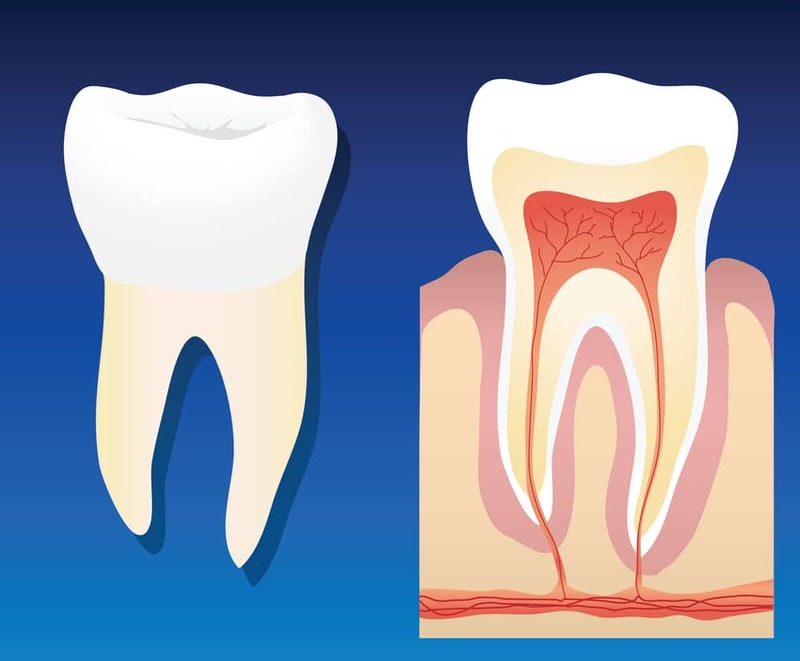 One to three visits may be required to complete the treatment, during which an endodontist or other dentist removes the diseased pulp; measures the hole for creating a crown; fully cleans the pulp chamber and root canal; and fills the cavity with a flexible plastic material. The endodontist or dentist then places a temporary filling on top of the plastic material and tops it with a temporary cap. A permanent filling is installed once the site is clear of infection, which usually takes less than a month. “Once a root canal is performed, the tooth should last a lifetime, provided the patient maintains good oral hygiene,” Nottingham said. Nottingham and his partner, Dr. Kenneth Anenberg, perform basic root canal procedures in their Broward County and Boca Raton offices . The dentists work closely with an endodontist to plan proper treatment. Root canal procedures that leave teeth weakened or discolored, Nottingham said. He and Anenberg draw from their extensive expertise in cosmetic dentistry to give extra support to the tooth with crowns and posts to ensure the finished results are natural looking. Call South Florida Cosmetic Dentistry today to schedule an appointment and learn more about endodontics. Or visit their web site: www.smilesouthflorida.com .